Mayweather vs McGregor PPV fight - Delivered! Mayweather vs McGregor PPV fight – Delivered! A snapshot of the live event page, hosted by Cleeng. In the wake of the “Money Fight” spectacle, the mood in the Cleeng offices is great. Congratulations to the full Cleeng team and our partners Brightcove for making this event a success in Australia, via mainevent.cleeng.com. The biggest fight in the combat sports’ history is over. While the media and all the parties involved on the supply side are still crunching the numbers, the fact is that the fight between Floyd Mayweather and Conor McGregor has lifted the lid and became the most lucrative match in history. It pushed the price point of pay-per-view sporting events in the US to a record $99.95! Did the fight live up to its hype? If you ask somebody from the Cleeng Tribe, the answer will be positive. As announced in the previous blog post, Cleeng handled the official online pay-per-view event in Australia, together with our OVP partner Brightcove. Without a doubt, it was quite a challenging task for us, considering the sensitivity of the live content and the unpredictability it carries. The full team was red alert before and after the event. And we can say that we are extremely proud of the end results and thankful for everybody involved in the project. We showed that live PPV is still a viable model for a lot of organizations if it is properly executed. However, an event like this can turn ugly. We feel for the UFC organization. As the main organizer, they faced lots of hiccups during the fight, despite all the effort on the promotion side. The ready technology and support processes, combined with the experience in handling the implementation reaped the fruits for us. Our systems proved to be solid and fully capable to handle an immense and sudden surge of paying viewers (below is a snapshot of the hourly transaction trend). Being able to manage the full customer journey (from authentication, payment, and support) at high volumes, asks for serious preparation, anticipation, and execution. On top of that, our task was to monitor and protect the live broadcast from piracy intrusions. 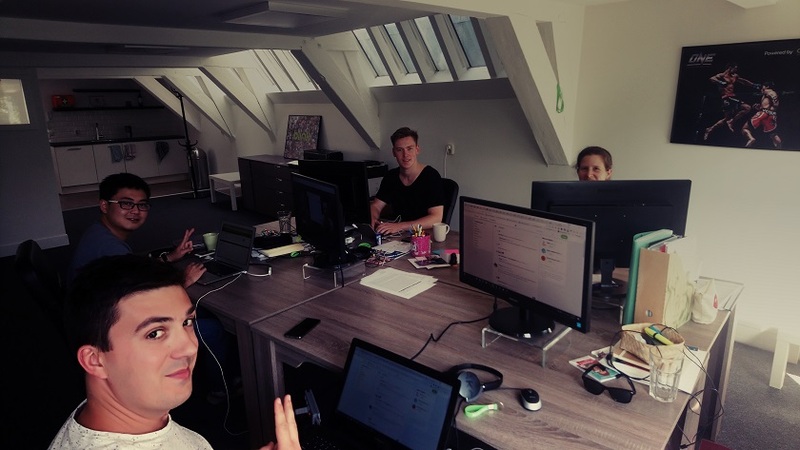 Anyway, it was great to see the whole team contributing to customer care, well synced with each other and focused on the master goal: making viewers happy. Once again, congratulations to everyone for making the “Money Fight” a true success.